Plus, China’s internet tsar, Chinese students in the U.S., and a crackdown on journalists Friday China links. The Harvard Kennedy School’s Ash Center for Democratic Governance and Innovation co-sponsored a survey on global perceptions of international leaders. The results, released this month, were based on polls of citizens in 30 countries around the world, who were asked about their familiarity with and approval of 10 world leaders. 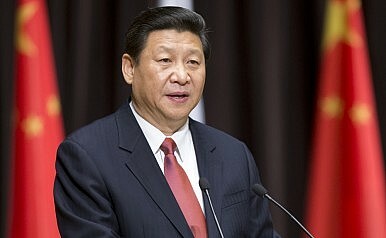 According to the survey, Chinese President Xi Jinping had the highest approval rating, both at home and abroad. Xi earned a composite 8.7 rating (out of 10), beating Russian President Vladimir Putin (8.1) for the top spot. Both Putin and Xi had astonishingly high domestic approval ratings, with Xi at 9 out of 10 and Putin at 8.7 (for comparison, U.S. President Barack Obama scored 6.2). International perceptions, however, set Xi and Putin apart. The Russian President scored only a 6 when being evaluated by foreigners, dead last among the 10 leaders included in the survey. Xi got a 7.5, just edging out Indian Prime Minister Narendra Modi at 7.3. Xi was viewed particularly favorably in Asian countries (except Japan and Vietnam), as well as Africa. Despite high international approval ratings, Xi did not score particularly high in awareness, with a global average of 59.1 percent (compared to Putin’s 79.3 percent and U.S. President Barack Obama’s 93.9 percent). Xi’s numbers were higher in China’s Asian neighbors, predictably enough. Elsewhere, Huffington Post ran a piece on China’s vision of “cyber sovereignty” by no less a figure than the internet tsar himself: Lu Wei, the director of China’s State Internet Information Office. Lu tries to reconcile the U.S. “multi-stakeholder” vision of internet governance with China’s “multilateral” model (wherein states, rather than people, companies, and NGOs, handle internet governance). Lu called for “mutual respect” between the U.S. and China to extend to respect for “each other’s cyber sovereignty [and] Internet governance” – which includes the blocking of U.S. websites like Facebook and the New York Times. The piece is part of China’s larger push to win international acceptance for its “internet sovereignty” concept. Lu also called for increased U.S.-China cooperation on cybersecurity issues, including hacking. China Daily reports that the number of teenagers studying in the U.S. has grown over 60 percent in the past 10 years, reaching 27,000 during the 2012-2013 school year. For comparison, in 2003-2004, there were less than 500 Chinese teenagers studying at U.S. high schools. Those numbers are only expected to go up as general income levels in China continue to rise and new visa policies take effect. The New York Times’ Andrew Jacobs says that China’s crackdown on foreign journalists is getting even worse. “In recent months, more than a dozen correspondents have been roughed up, detained or shadowed by plainclothes police officers as they tried to work in far-flung provinces as well as the heart of the nation’s capital,” he writes. Many of them were covering topics they did not believe to be overly sensitive, such as an underground film festival in Beijing. Last year, the Chinese government delayed renewing visas for several Times and Bloomberg reporters, in what was seen as retribution for those media outlets publishing stories about Chinese leaders’ family wealth. Finally, the ultimate Christmas gift for Sinophiles: China.org has launched a website explaining Chinese keywords, from the China Dream to “socialism with Chinese characteristics.” Want to know when a phrase originated and what China means by it? This is your one-stop shop for explanations. China, the US, and Russia: The Art of LoveChina, Russia, and the 'Concert of Eurasia'China Vows No Compromise on 'Cyber Sovereignty' The China-Russia-Mongolia Trilateral Gains SteamSino-Russian Relations in the Arctic: Thawing Out or Freezing Up?